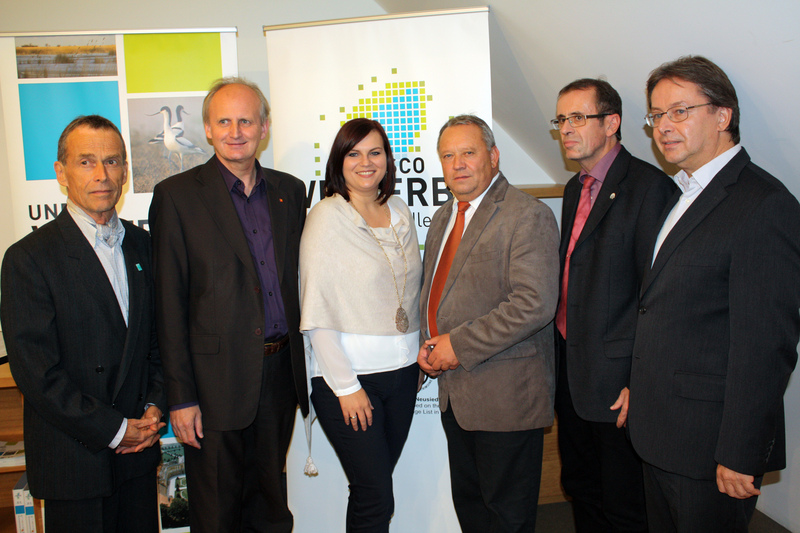 A joint event was organized for the first time on 8 October 2015 in the Ramsar Centre (opened in 2013 in the „Haus am Kellerplatz“), to which the office of the environment advocate of the Austrian Federal State Burgenland and the association “World Heritage Lake Neusiedl” invited high level politicians and decision-makers. The participants focused on the theme “responsibility through sustainable use” when questioning the reasons for which the region of Lake Neusiedl was designated, first in 1983 for the Ramsar List, and then in 2001 as a World Heritage Property. The Ramsar focal point in Burgenland, Andreas Ranner, and Hannes Klein, the director of the World Heritage association, provided answers. Wolfgang Pelikan, the chair of the Austrian Ramsar Committee, explained the Ramsar Convention and its wise use approach. Ms Astrid Eisenkopf, the Minister responsible for these conventions in Burgenland, stressed the responsibilities related to the treaties and stated that “there are many interlinkages – the region was declared a World Heritage Property in 2001, also because it had already in 1983 received the Ramsar Site status”. She asked for much respect when dealing with the landscape: “we cannot afford to undertake irresponsible actions in this sensitive region that we may regret later on.” During the lively discussion, conflicting land-uses that may have negative impacts on the landscape became obvious, such as the construction of holiday homes close to the lake or urban borders disturbing the landscape image. It is planned to bring the theme “Ramsar and World Heritage” to the schools to increase public awareness about the high value of Lake Neusiedl and its unique landscape basin. 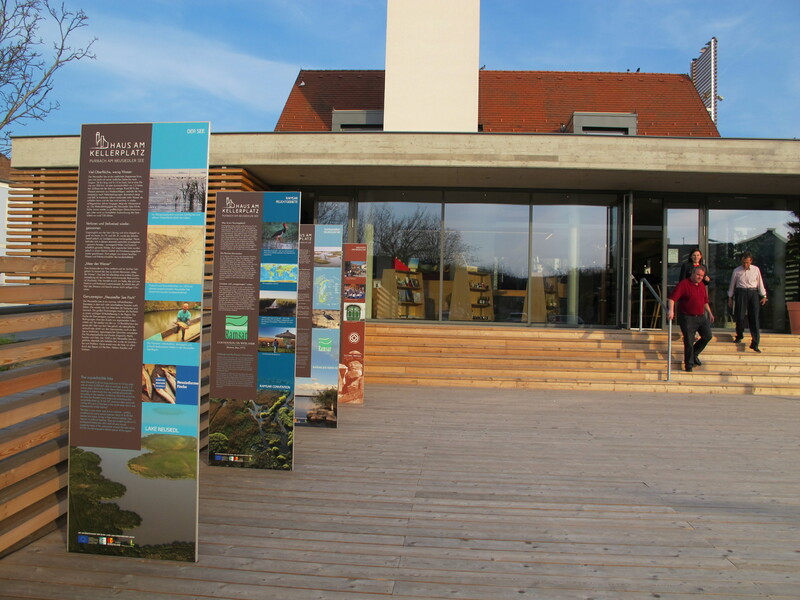 The event was followed by the media and ended with a social gathering in the vine bar of the Ramsar Centre. This provided the opportunity to discuss and raise a glas to the promising cooperation with environment advocate Werner Zechmeister, the mayor of Purbach Richard Hermann, or the World Heritage chair Erwin Preiner.